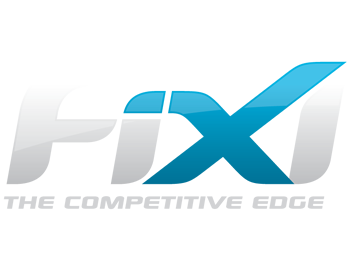 The Navigation Menu provides access to the core modules of the FiXi application such as Dashboard, Calendar, Customers, Teams, Competitions, Administration and Settings. The Main Navigation Bar provides access to the following important modules. Dashboard – The smart Dashboard provides you with quick statistics related to competitions, allocation graph by sport and allocation graph by date. Calendar– The Calendar module quickly and easily allows you to add new bookings or scratch matches. You can also view the calendar in the list or grid views. Customers – The Customers module allows you to store all contact details in a centralised customer database. 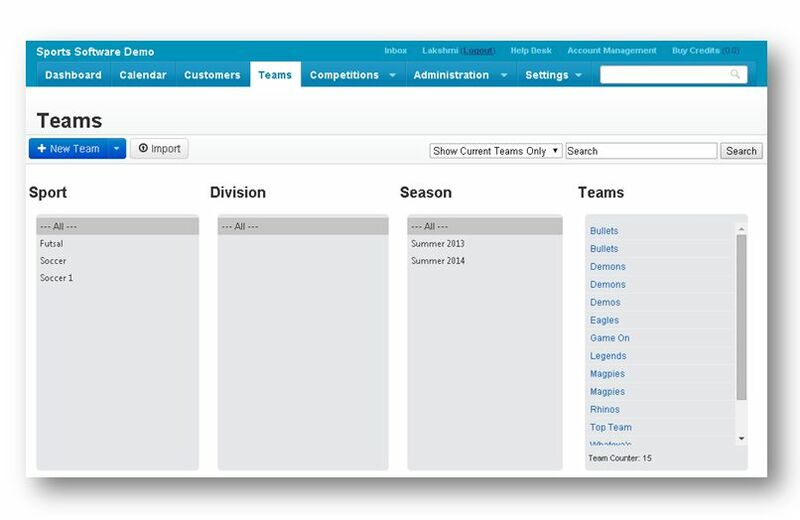 Teams – The Teams module allows you to manage teams’ players, registered competitions, discounts, players, financials, preferences, communications and notifications. Competitions – The Competitions module allows you to manage competitions, fixtures, final series and synchronize to web or mobile. Administration – The Administration module helps you to manage notifications, view history and manage schedules, announcements and reports. Settings – The Settings module allows you to manage assignments to courts, manage sports, divisions, seasons, holidays, users, roles and configure settings and permissions. The smart Dashboard provides you with quick statistics related to competitions, allocation graph by sport and allocation graph by date. The Calendar module quickly and easily allows you to add, edit and manage bookings and scratch matches in list view or grid view. 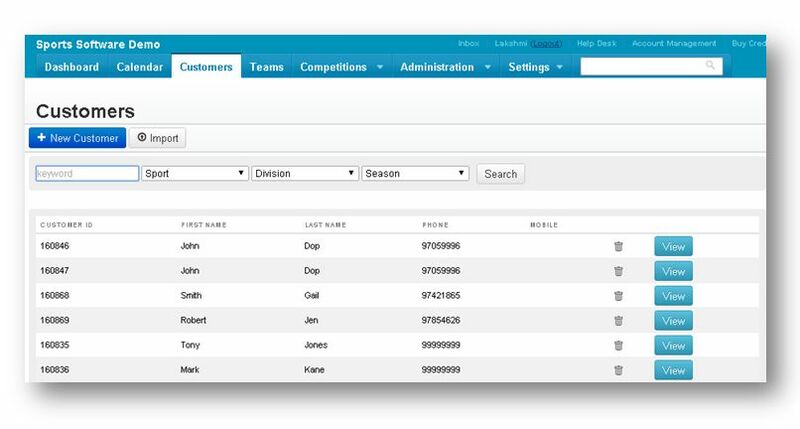 The Customers module allows you to store all contact details in a centralised customer database. 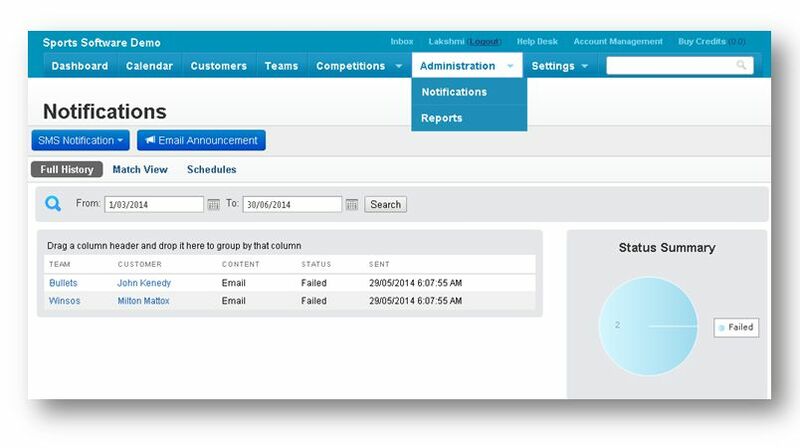 The Administration module helps you to manage notifications, view history and manage schedules, announcements and reports. 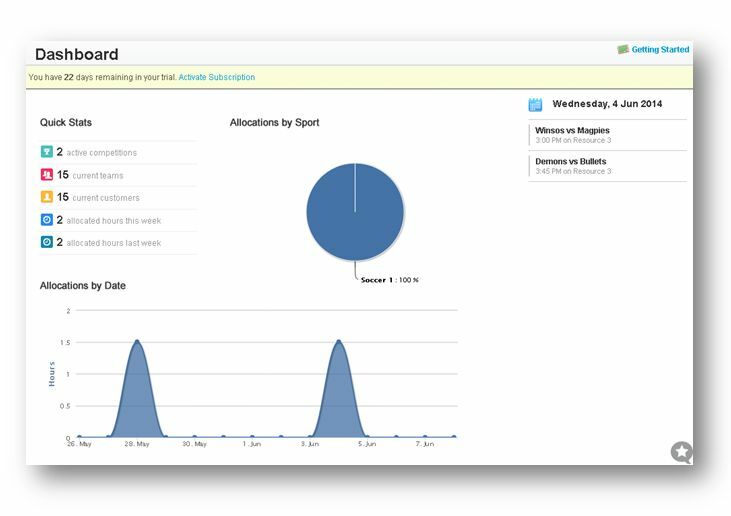 The Settings module allows you to manage assignments to courts, manage sports, divisions, seasons, holidays, users, roles and configure settings and permissions.